November 19, 2018 – Judith wants to be known for helping others recognize their purpose and believe in themselves! This semester she is excited to work hard to improve her grades! July 7, 2018 – Something that was challenging for Judith this last year was when her classes got behind and she had a lot to study in the last few weeks. She worked on using her time wisely, and studying when she could to make up for what they ran out of time to learn in classes! This summer, she is looking forward to getting a job, and is hoping to get one that will positively impact the community! May 12, 2018 – Judith values her friends’ advice and being able to spend time with them, because they are always encouraging and helping her to be a better person! March 25, 2018 – When Judith was younger, her neighbor was a doctor and she looked up to him, so she wanted to be a doctor when she grew up also! 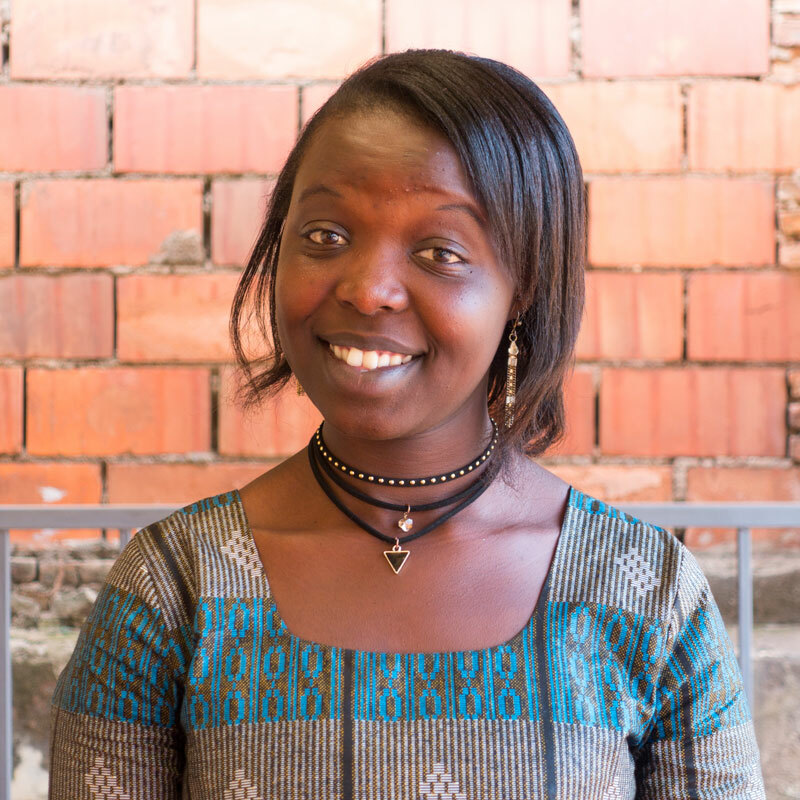 In five years, Judith hopes to be pursuing her master’s degree! Feb 27, 2018 – The people Judith said inspired her the most are President Paul Kagame and Nelson Mandela because of the way they both brought peace and reconciliation to their countries. Jan 25, 2018 – A book that Judith read and said she couldn’t put down was Betrayal in the City by Francis Imbuga. The most interesting part to her was when a man told his friend that he didn’t deserve to be alive because of what he did. Dec 18, 2017 – Judith says that even if you do not usually attend church, on Christmas everyone goes to church! A word Judith says her friends would use to describe her is “comedian” because she likes to make people laugh and have fun with her friends! Nov 11, 2017 – Judith says she is so thankful for the love, care and support from the aunties in the These Numbers Have Faces family. She enjoys the Christmas holiday because she feels closer to God in this time. Oct 8, 2017 – During her summer, Judith had the opportunity to serve her community by getting a group of friends together to help a person in need. Judith is excited about being a scholar of These Numbers Have Faces, she said she is looking forward to working with the rest of the scholars to grow into exemplary future leaders! Judith lost both her parents in the 1994 Genocide. Despite her loss, she has never given up hope for her future. The village where Judith grew up was like a classroom to her, and continues to be a place where she learns from those around her. Although her community was very poor, Judith has been inspired by their vibrant sense of collaboration and hard work. As a university student, Judith is ready to learn more and give back to those around her with her degree in Public Administration.